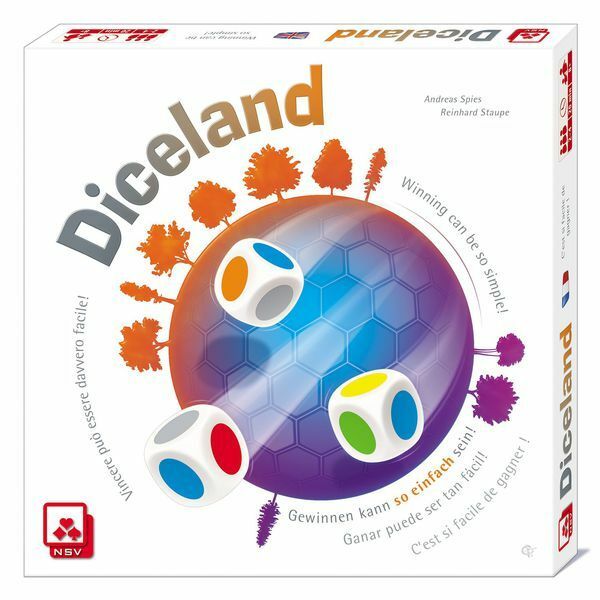 Diceland, is a racing dice game in which nothing has to be calculated. Every plays each turn based on the same roll of the dice, with all players racing to be the first to reach nine treasure fields and complete a territory of one chosen color. The game includes four double-sided wipeable playing boards for variety.